Britain could be forced into a permanent customs union if Parliament rejects Theresa May’s Brexit deal, allies of the Prime Minister warned last night. Mrs May has come under fire from Eurosceptic MPs for agreeing a controversial Irish ‘backstop’, which critics claim could leave the UK locked in a customs union indefinitely. 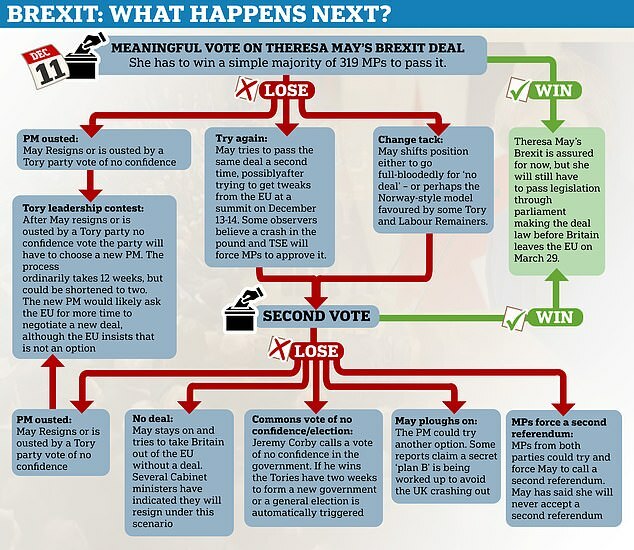 With more than 90 Tory MPs threatening to join forces with Labour to vote down the deal, Mrs May faces an uphill task to win the crunch Brexit vote on December 11. 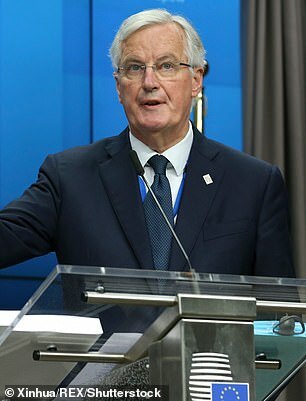 But a senior Whitehall source said Brussels had warned privately that it would try to ‘push Britain into a customs union’ if Mrs May’s deal is heavily defeated. Membership of the customs union would allow the UK to trade tariff-free with the EU but would prevent us from striking our own trade deals with countries outside. The UK would not have to accept free movement of people but would have to continue accepting EU rules on goods and farm products to avoid regulatory checks at the border. Ministers also fear that MPs could amend the Trade Bill to require the Government to pursue a customs union with the EU. 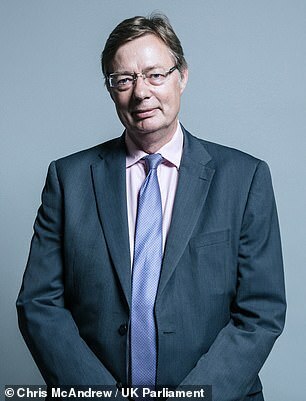 Tory MP Gary Streeter warned that by opposing Mrs May’s deal, Brexiteers were putting at risk the whole project they had campaigned for. ‘It is ironic that those who might be scuppering Brexit are the ones who wanted it in the first place,’ he said. Downing Street put itself on a collision course with the House of Commons last night after refusing to publish the complete legal advice it was given on Brexit. The Commons voted unanimously this month for a Labour motion demanding to see the full advice presented to the Cabinet by Attorney General Sir Geoffrey Cox. After the motion was carried, Commons Speaker John Bercow said it must be published in full. But No10 said yesterday it would only publish a summary. Pro-Brexit MPs want to see the complete advice amid rumours that Sir Geoffrey may have warned of risks concerning the Irish backstop, reportedly calling Mrs May’s agreement an ‘Ugly Sister of a deal’. Labour’s Brexit spokesman Sir Keir Starmer wrote to Cabinet Office minister David Lidington last night demanding that it complied with the Commons motion, saying MPs ‘must be given the necessary information to know precisely what has been agreed to’ before voting on the deal next month. But justice minister Lord Keen said there would only be a summary, adding: ‘The Government recognises the legitimate desire in Parliament, from members on all sides and both Houses, to understand the legal implications of the final withdrawal agreement. Brexiteers last night accused ministers of preparing for a fresh round of Project Fear, with the Treasury and Bank of England both due to publish fresh analysis of the Brexit options. Chancellor Philip Hammond will publish a 150-page document this morning setting out the impact of a range of scenarios on the economy. These will include Mrs May’s Chequers deal, the so-called Norway option, the ‘Canada Plus’ model favoured by Brexiteers and a no-deal exit. The analysis is expected to show a no-deal Brexit would have a dire impact on the economy, although all four options are expected to have a negative impact compared with remaining in the EU. Later today, Bank of England Governor Mark Carney will publish his own analysis. He is expected to repeat his warning that a no-deal Brexit could lead to a 35 per cent slump in house prices. 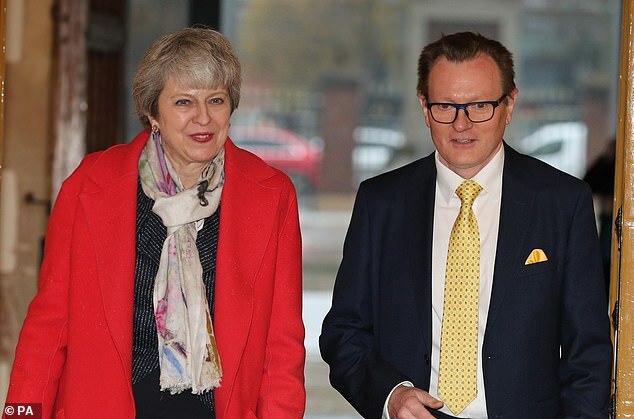 Mrs May yesterday embarked on a whistle-stop tour of the UK to promote her Brexit deal, visiting Wales and Northern Ireland. Today she will travel to Scotland, where she will hold talks with Nicola Sturgeon, whose government claimed yesterday that the Brexit proposals would leave Scottish families an average £1,600-a-year worse off. Former Cabinet minister Sir Michael Fallon said: ‘My fear is that this deal gives us the worst of all worlds – no guarantee of smooth trade in the future and no ability to reduce the tariffs that we need to conclude trade deals with the rest of the world. ‘So, unless the House of Commons can be persuaded somehow that those are possible, then I think, yes, the deal is doomed. He suggested the PM’s future would then be ‘up to colleagues’.